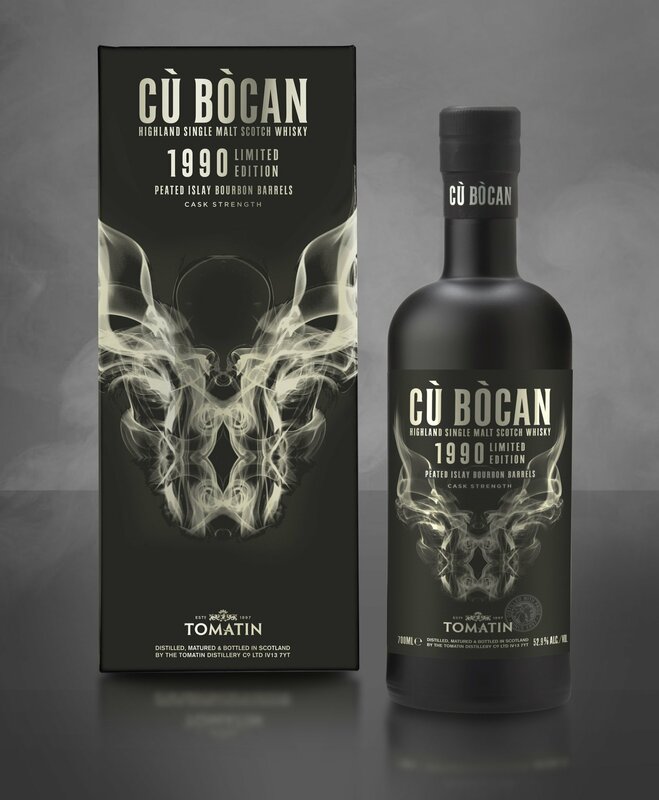 Tomatin’s Cu Bocan line has an interesting provenance. Much like Balvenie, the otherwise peatless Tomatin devotes just one week a year to producing peated whisky. That (very) lightly peated new-make spirit goes into a first fill bourbon, ex-sherry, and virgin oak casks, where it is eventually bottled under the Cu Bocan brand. Note that the Islay casks mentioned above are only used as finishing casks for four of the 28 years this whisky spends in barrel. As with standard-issue Cu Bocan, the smokiness here is quite fleeting, instead offering an austere nose that largely features toasty grains, oily nuts, and some winey, sherry elements. The palate is again quite nutty, with hints of chocolate and, oddly, lots of dill, plus plenty of well-roasted grains and peanut brittle in the mix. The finish is quite sharp, though the notes of roasted nuts and oxidized wine sustain themselves for quite a while as the palate fads out. With all the talk of peat in the production, I was honestly hoping for more of it here, though an empty glass left overnight finds that smoky goodness percolating nicely in the bowl.